PIGEON FORGE, Tenn. (April 29, 2015) – This Sunday (May 3) is the deadline to nominate students who set good examples so one can win $5,000 for his or her school and a family vacation to Pigeon Forge, Tenn., in the Great Smoky Mountains. The Pigeon Forge Super Students promotion encourages parents, teachers and friends to nominate students ages 8-14 who stand out by setting good examples and going the extra mile to benefit others. “The winner could come from anywhere, and the good deeds could be almost anything. Perhaps it’s a child who mentors peers, perhaps it’s one who created a recycling program, perhaps it’s one who is the glue that holds a family together. 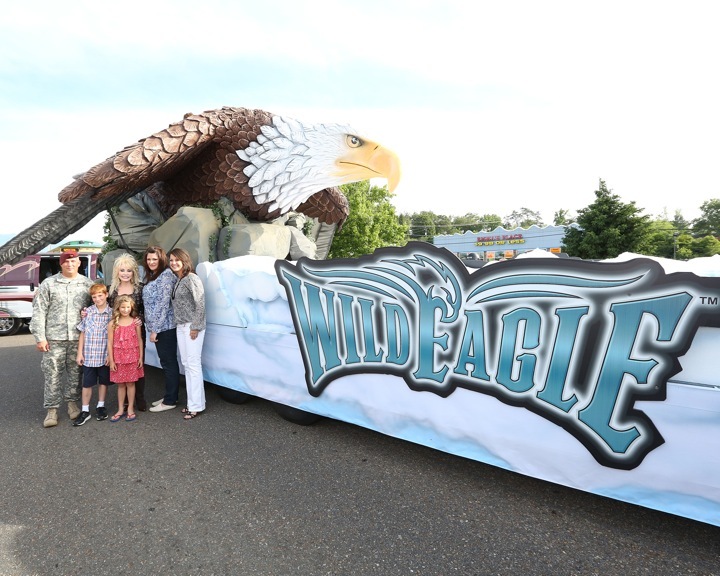 We’re eager to put someone in the spotlight,” said Leon Downey, executive director of the Pigeon Forge Department of Tourism. All nominations are done online at PFSuperStudent.com. Nominators must be at least 18 years old. There will be a top winner and four secondary winners. “We’re challenging nominators to explain a child’s special behavior carefully and briefly. There’s a 100-word cap on the supporting message,” Downey said. The top winner gets a Pigeon Forge family vacation that includes lodging, meals and admission to attractions such as Dollywood, the Lumberjack Feud and the Titanic Museum Attraction. That student’s school will receive an unrestricted gift of $5,000. The other four winners will receive family passes to approximately 20 Pigeon Forge attractions, and their schools will receive $1,000. “Every school could use extra cash for many, many purposes. We want the Super Students’ good works to have a direct impact on their schools,” Downey said. Pigeon Forge has a long record of advocating for family vacations and organizing activities that have rewarded families. It once gave away a tanker truckload of gasoline during a fuel shortage crisis, it saluted a military family prior to the dad’s deployment to Afghanistan with a vacation that included meeting Dolly Parton and it once organized a family’s first-ever vacation. Pigeon Forge is a gateway city to Great Smoky Mountains National Park and home of approximately 80 visitor attractions, more than a dozen theaters and scores of restaurants and shops. Visitor information about Pigeon Forge is available at MyPigeonForge.com and 800-251-9100.